Sally Rooney, Donal Ryan and Anna Burns will all compete for the award. 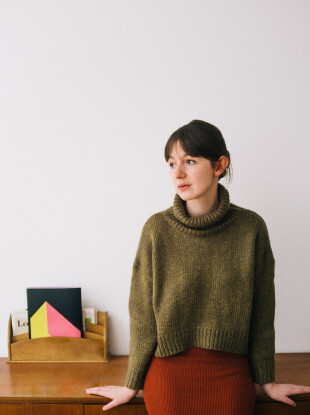 Sally Rooney is nominated for her second novel Normal People. THREE IRISH AUTHORS have been named among the 13-person longlist for this year’s Man Booker Prize. Sally Rooney’s novel Normal People, Donal Ryan’s From A Low and Quiet Sea and Anna Burns’ Milkman will all be in consideration for one of the world’s foremost literary prizes. The Man Booker Prize for Fiction, first awarded in 1969, is open to writers of any nationality writing in English and published in the UK and Ireland. This is the first year that novels published in Ireland are eligible for the prize, following a change in rules announced at the start of 2018 of this year. This year’s longlist was chosen from a record 171 submissions. As well as the publicity and global sales bump that goes with winning and being nominated, the winner also receives a £50,000 prize. Normal People is Dubliner Sally Rooney’s second novel after her critically acclaimed first novel Conversations with Friends. Rooney is also editor of Irish literary magazine The Stinging Fly. From a Low and Quiet Sea is Donal Ryan’s fifth novel and the Tipperary man was previously nominated for the Booker Prize in 2013 for The Spinning Heart. Milkman is the third novel for Belfast woman Anna Burns, who previously won the Winifred Holtby Memorial Prize. Irish authors Anne Enright and Roddy Doyle are both previous Irish winners of the Man Booker. Other winners include Salman Rushdie, Ian McEwan to Hilary Mantel. For the first time in the history of the prize, a graphic novel has made the longlist in the form of Nick Drnaso’s Sabrina. The shortlist of books will be announced on 20 September and the winner will be announced on 16 October. Email “Three Irish authors have made the longlist for the Man Booker Prize”. Feedback on “Three Irish authors have made the longlist for the Man Booker Prize”.